The Global Health Institute’s International Professional Development Program (IPDP) provides international medical professionals and licensed clinicians an opportunity to broaden their understanding of health care. It is a unique, non-degree program where participants are allowed to observe and experience a variety of innovative practices that are not being performed in their country’s hospital. Visiting professionals are expected to return to their home institution and implement what they learned, sharing their knowledge and experience with colleagues. 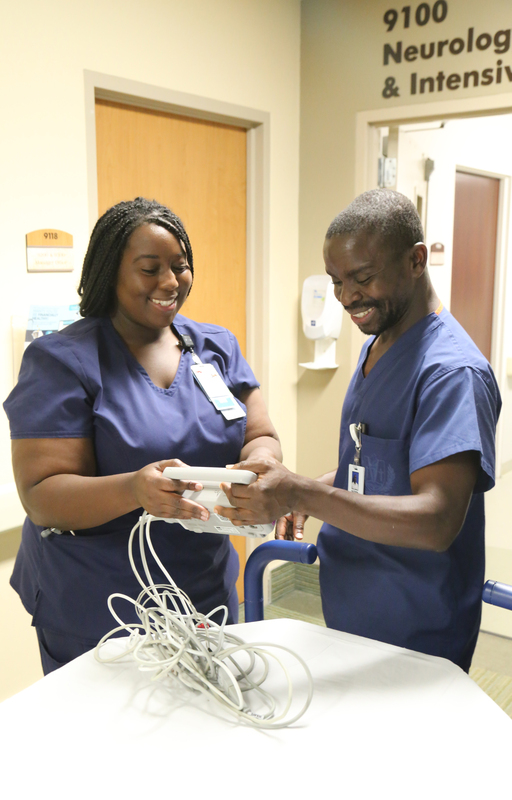 In 2011, Nkumba had returned to her country of origin, Malawi, Africa, to educate critical care nurses who were to staff one of the first and most advanced Intensive Care Units in the country, and Batson was one of her students in training. Nkumba, a critical care nurse and educator for the past 15 years at Loma Linda University Health, was the instructor for a BART class attended by a group of visiting international health care professionals this past July. She immediately recognized Batson as one of the attendees and was eager to see his progress. Batson was also impressed with how technology can impact the ability to identify and treat diseases among intensive care patients. He says, at home we have to just guess if someone has epilepsy, but with an electroencephalogram (EEG), a test that measures and records the electrical activity of your brain, you can see any abnormal brain activity.